Fanart Competition and Page 100! 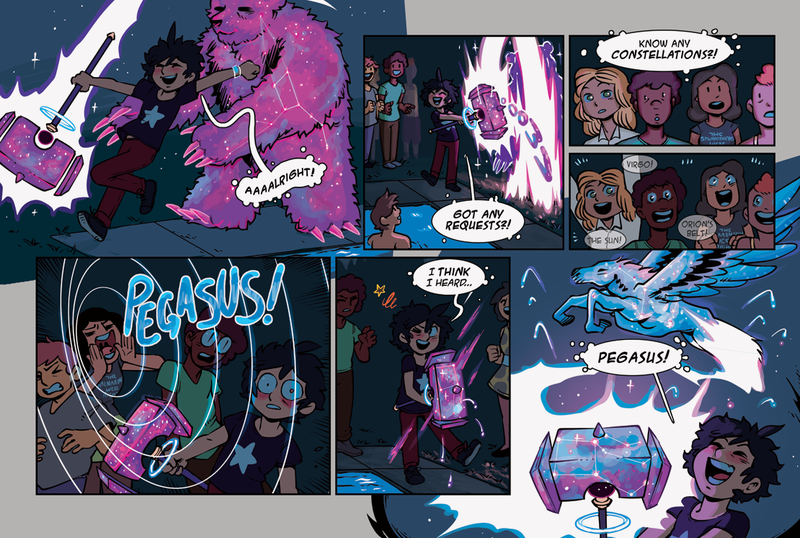 Not only was Wednesday the first anniversary of the comic, October's the FIFTH anniversary of the concept. StarHammer started development all the way back in October 2011. We've come a long way! How far, you ask? We're hitting page 100 on Monday! To celebrate that and our anniversary we're holding a fanart competition! Submissions are open from now until October 31st. 1st prize gets a custom piece from our art team AND their likeness or an OC of their choice drawn into the comic! 2nd prize gets an original watercolor from our colorist, Tessa Kleiner AND their likeness or an OC of their choice drawn into the comic! 3rd prize gets their likeness or an OC of their choice drawn into the comic! 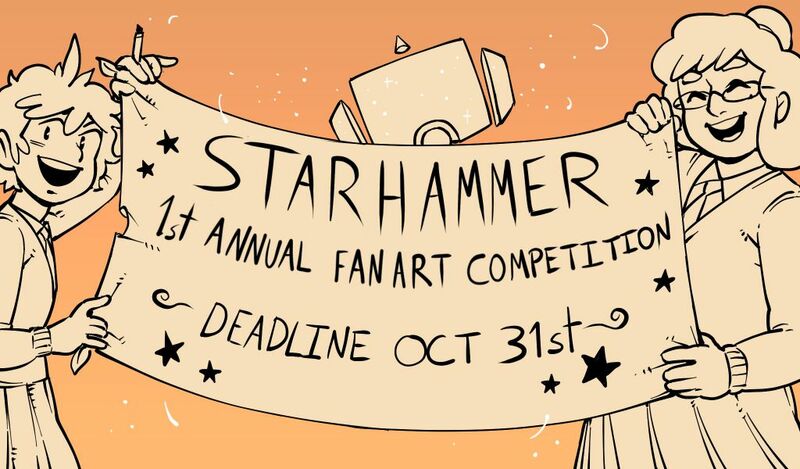 And each entrant will get an exclusive PDF with all sorts of behind the scenes tidbits, such as concept art, the original StarHammer stories, never-before-seen artwork and MORE! Winners will be announced on Monday, November 7th!